The most striking thing about the international court ruling on the South China Sea on Tuesday was how completely it quashed China’s arguments. From invalidating the “nine-dash line” that defined China’s claims to more than 80 percent of the waterway to reprimands over harassment of fishermen, the Permanent Court of Arbitration in the Hague undermined the country’s position in almost every area Tuesday. The Philippines, which brought the challenge under the United Nations Convention on the Law of the Sea, received a near-total victory. The tribunal dismissed China’s claims to the waters based on a 1947 map with a dashed line extending about 1,120 miles (1,800 kilometers) south of Hainan Island. It concluded that China never had historic rights to resources in the waters of the South China Sea. 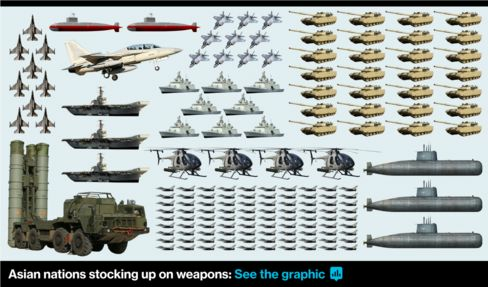 Nor was there any historical evidence that China had ever exercised exclusive control over the waters or their resources. Therefore, the court found, there was no legal basis for China to claim rights to resources within the sea area. 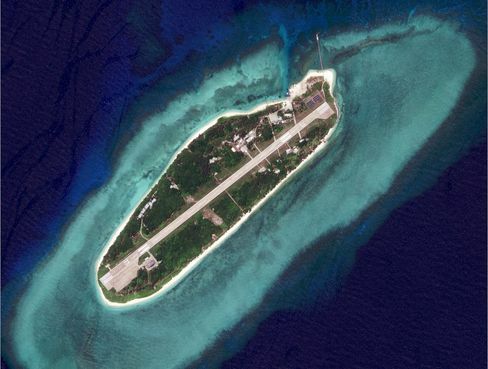 In one indication of the sweeping nature of the court’s ruling, it found that Itu Aba — the largest natural feature in the disputed Spratlys — is not an island. As a “high-tide elevation,” or, more simply, a “rock,” Itu Aba doesn’tqualify for an exclusive economic zone under UNCLOS. Itu Aba wasn’t even named in the Philippines submissions to the tribunal. The ruling closes an avenue for negotiations between China and other claimants. The decision also deals a blow to Taiwan, which occupies the feature and bases its claims on the same 1947 map as China. The ruling that China has no historic claim to resources within the nine-dash line will have implications throughout the region, where the country’s coast guard has beendefending expeditions by its fishermen. The tribunal found that China had unlawfully interfered with fishing within the Philippines’ EEZ and failed to prevent Chinese fishermen from operating in the area. Just last month, Indonesia signaled a tougher stance over incursions by Chinese fishing boats in its waters, saying they appeared to be part of an effort by Beijing to extend its territorial claims. The court’s findings undercut China’s credibility as a responsible power in the region and upholder of law. For example, China contended its island-building project had “gone through science-based evaluation and assessment, with equal importance given to construction and protection.” But the tribunal found that China caused severe harm to the coral reefs and fragile ecosystems. It also found that Chinese authorities were aware that Chinese fishermen harvested endangered sea turtles, coral and giant clams on a substantial scale using destructive methods.